Microchip Media Alert at Kingsbrook Animal Hopital! 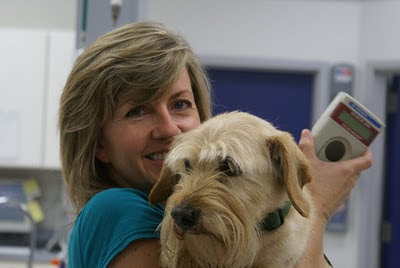 A few weeks ago, Kingsbrook Animal Hospital in Frederick posted a blog about the importance of microchipping our pets. Just recently, we were all reminded of just why it is such a good idea to microchip every pet in Maryland! …and she had been missing for two whole years! While Roxy’s family was on vacation two years ago, Roxy escaped out the door when the pet sitter came in to feed her. Roxy’s family tried very hard to find her, but eventually gave up–except for Regan, Roxy’s human sister. No one was more excited than Regan to have Roxy back home. She wished and prayed every day to be reunited with her kitty. Thanks to Roxy’s owners’ decision to have Roxy microchipped, Regan’s wish came true. A special thanks goes out from Roxy’s family and from the entire Kingsbrook Animal Hospital staff to our Good Samaritan client who brought Roxy in and graciously arranged for her to be returned to her family! KAH Assistant Robin (right) with Roxy and her family–reunited at last! One of the most common reasons owners cite for not microchipping a cat is that he or she is “indoors only.” Actually, indoor cats benefit the most from microchipping. They are not able to find their way home as well as their outdoor counterparts, and since they are used to living in a house they are more likely to “adopt” a new family and return to an indoor lifestyle. Microchipping is inexpensive and safe, and is a great way to ensure a lost pet is returned to his/her owner. Please ask a veterinarian at Kingsbrook Animal Hospital in Frederick about a microchip for your beloved pet! This entry was posted in cat, Frederick MD, Kingsbrook Animal Hospital, Microchip, Microchipping, veterinarian and tagged cats, Frederick MD, Kingsbrook Animal Hospital, Veterinarian on August 26, 2016 by yourfriends. Here at Kingsbrook Animal Hospital we recommend microchipping your pet. This is to ensure our clients that if their pet were to get lost, they would be able to find their way back home. We use the company HomeAgain. HomeAgain is a lost pet recovery service that provides us with microchips and clients with a datadase with their information that matches with their pets microchip. We always recommend to microchip while a pet is under anesthesia or after using a local anesthetic by a veterinarian. 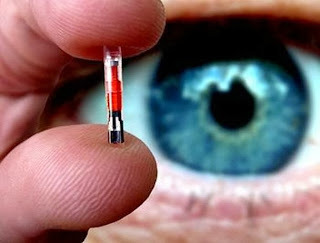 The microchip with an ID number is injected between the shoulder blades of the pet. We then register your information to your pets ID number through HomeAgain’s database. 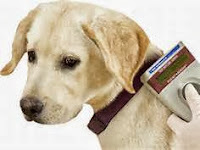 Any Animal Hospital or Shelter would know to scan any found pet for a microchip. Then they would contact HomeAgain to get the owners information to reunite the pet with their owners. Just this week we had a gentleman come in with a little dog that he had found in a nearby parking lot. She was an adorable little dog with a HomeAgain collar on that read Cocoa and an ID number. We called HomeAgain (1-888-HomeAgain or www.homeagain.com) to report her missing. They gave us Cocoa’s owner’s information. Within minutes we were able to contact the owner and she was so relieved to know that Cocoa was ok. She had been at work with her and she got out when a delivery was being made. It was so great to see them reunite, you couldn’t tell who was happier! Thanks to microchipping, pets are able to find their way back home! For more information please call Kingsbrook Animal Hospital in Frederick MD. This entry was posted in Frederick MD, Kingsbrook Animal Hospital, Microchip, veterinarian on October 22, 2013 by yourfriends. This entry was posted in lost dog, Microchip on June 6, 2010 by yourfriends. Above: Scruffy is reunited with his happy owners. A little stray dog was found wandering the streets of Baltimore. He was turned over to Maryland Bichon Frise Rescue (www.bichonbash.com) because he looked like a Bichon Frise mix. He was placed in a foster home and his foster mom, Ginny, brought him to Kingsbrook Animal Hospital to be examined and vaccinated. Since the dog was a stray, Ranee scanned him to see if he was microchipped. He was. Ranee copied down the microchip number and called the microchip hotline to locate the owner’s information. Unfortunately, the owner had never registered the microchip number. Ranee had to shift into Sherlock Holmes mode. She contacted the distributor that sold the chip to see who had purchased it. She then called the pet store that purchased the chip to see if they had kept records on who purchased the dog. Unfortunately, the pet store’s computer had crashed and had not been updated. Luckily, the pet store kept hard copies of the microchip information. Ginny’s sister, Pam, visited the pet store with a picture of the dog. With a little prodding, they were able to locate the owner’s information. Ginny contacted the owner and found out that the little dog, named Scruffy, had slipped out of the gate two weeks before and was picked up five miles away from his home. Scruffy was reunited with his appreciative owners. This story had a happy ending. Other dogs have not been as lucky. Sometimes a beloved pet is lost forever. Microchipping works. Luckily, the pet store kept records and the owner was located. It is VERY important to register the microchip as soon as it is implanted and to make address and phone number changes as they become necessary. If Scruffy’s microchip had been registered, we would have been able to contact the owner and return him to his family immediately. Thank you to everyone who helped Scruffy find his way home! 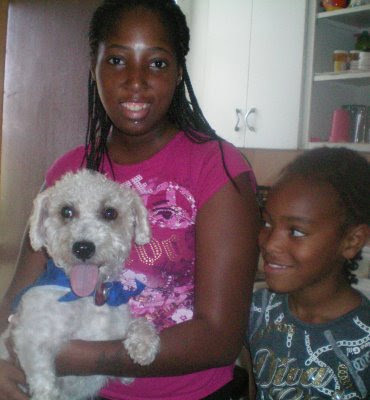 This entry was posted in Bichon Rescue, Microchip, Scruffy on September 17, 2008 by yourfriends.